Find everything you need to plan your big day from Music to Photography and Video, Wedding Planners and Invitations to Florists and Limousines. 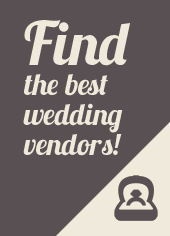 Find your venue, lodging - even plan your honeymoon! Get the low down from wedding experts on everything from the engagement to the big day to the honeymoon (and beyond)! Helpful tips and valuable advice on trends, traditions and more. Runway fashion show featuring famous designers of bridal and bridal party fashions by local salons like Demetrios, Rena Elle Couture, Angel Bridal and more as well as tuxedo fashions by Formal Expressions. DJ & 4 hr Photo Booth from DJ's Available, 5 hr Zark Limousine rental, 6 Formal Expressions tuxedo rentals, From This Day Forward ceremony officiant, Hotel Suite from Holiday Inn Express Mt Laurel, Vacation at All Inclusive Sandals Resort from Custom Travel Services INC - Merchantville. Our Bridal Showcases are your one-stop location for South Jersey wedding planning! If you’re looking for DJs, bridal gowns, tuxedos, wedding planners, photographers, videographers, florists, invitations, limousines, accommodations, jewelry, photo booths and much more for your special day, you’ve come to the right place! Admission is free for brides and grooms! Bridal Showcases by DJs Available Sound & Light brings you everything you'll need to plan the perfect wedding event - all in one place, all in a single day. We'll also hook you up with wedding specialists at our showcase seminars and roundtables. Experience a runway-style fashion show, food samplings from the host venue and live performances by DJs and musicians. Let Bridal Showcases help make planning your wedding stress-free and while you're at the showcase, make sure to enter to win some fabulous prizes (awarded at the end of each season)!